Talented artist Autumn Ying has shared her lovely sketches of the late Princess Diana with HELLO! She has a huge following on Instagram, where she posts everything from fashion designs to finely-detailed portraits, but these new images might be her best work yet. 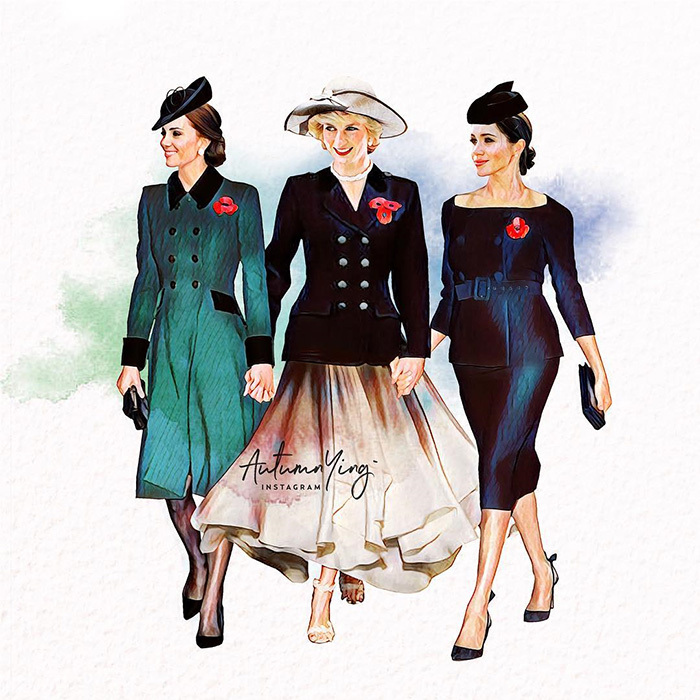 The stunning sketches imagine that Princess Diana is alive today, depicting her with different members of the royal family. 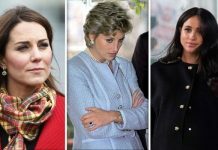 In two of them, she is with the daughters-in-law she never got to meet, the Duchess of Cambridge and the Duchess of Sussex. In one, she holds hands with them as they walk, the younger women dressed in the outfits they wore to the Centenary service at Westminster Abbey in November 2018. In the other, she stands beside a huge white Christmas tree with her arms around Kate and Meghan. 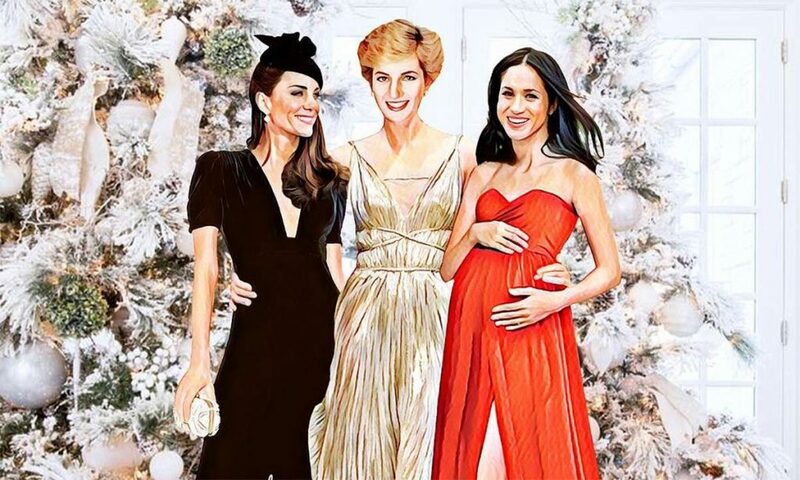 All three of them wear glamourous evening dresses and Meghan clutches her baby bump. 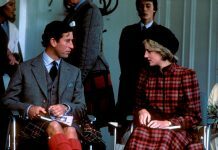 As Meghan and Prince Harry prepare to welcome their new arrival, it’s an especially heart-rending reminder of what might have been had Diana not died in Paris in August 1997. 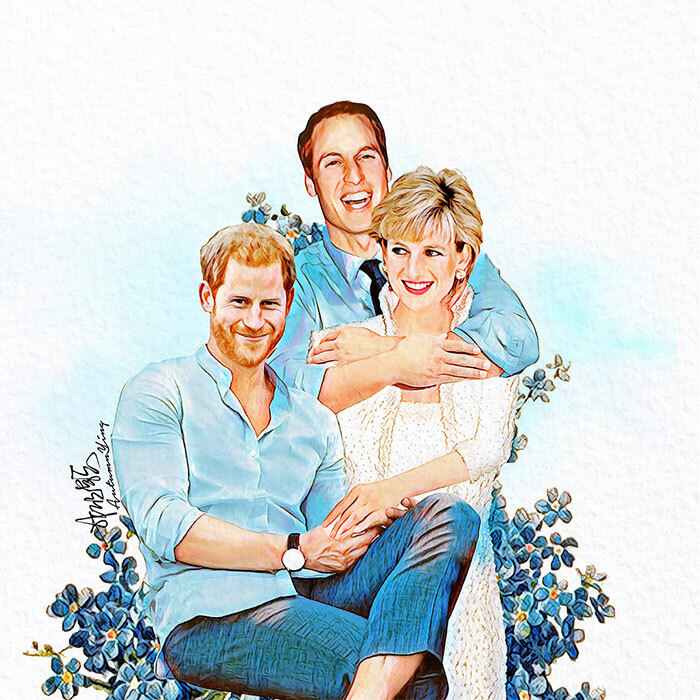 But most moving of all is the sketch of Diana with her two adult sons. Prince William embraces her from behind, while she clasps a seated Prince Harry’s hand. It’s a recreation of the famous outdoor photo shoot the family did in 1988, when the boys were just six and three, and a beautiful tribute to the late princess’s love for her sons. Prince William was 15 when she died and Prince Harry was just 12 and both have since spoken about how difficult it was to handle their grief. But while their mother never got to see them grow up, get married and have children of their own, it’s clear that both men still feel her presence. When Prince William proposed to Kate in October 2010, he presented her with his mother’s sapphire and diamond engagement ring and when Prince Harry got engaged in November 2017, he said that he was sure his mum was “with us, jumping up and down” about the news.